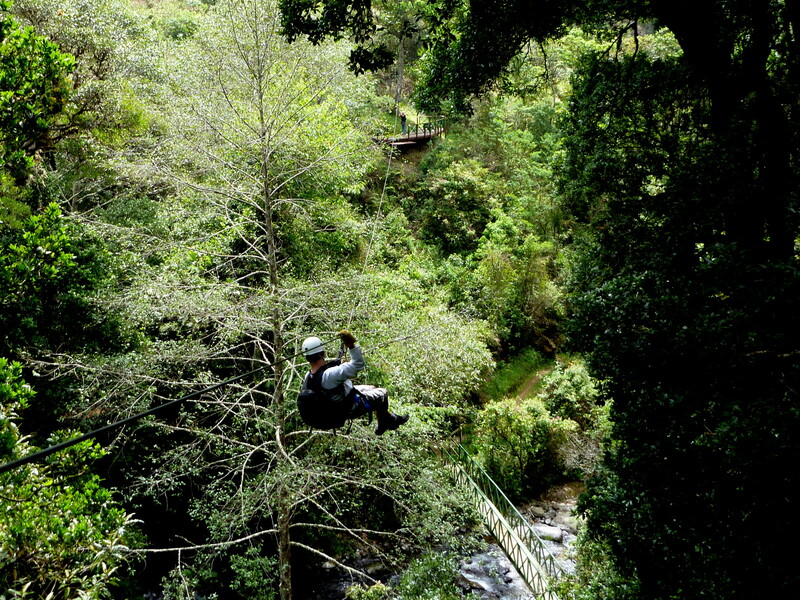 Modern canopy tours were invented in the 1970’s when the rain and cloud forest canopies were the last remaining frontiers of botany, zoology, entomology and ecology. Ph.D. students Donald Perry and John Williams first strapped on their rock climbing harnesses, clicked their carabineers on to a belay line, and grabbed onto their jumars to ascend a tree instead of a granite face. 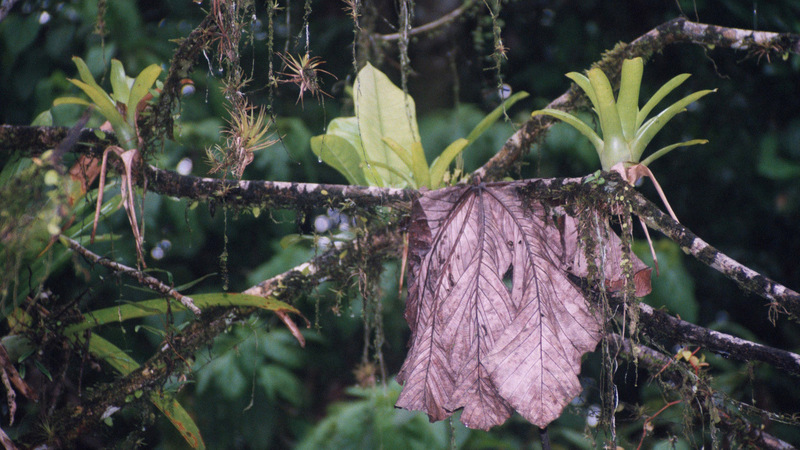 Epiphytes take advantage of the energy that trees put into producing roots and trunks, growing in the much brighter light hundreds of feet off the forest floor. Fallen leaves like the one seen here are valuable sources of nutrition as they decompose without ever reaching the ground. 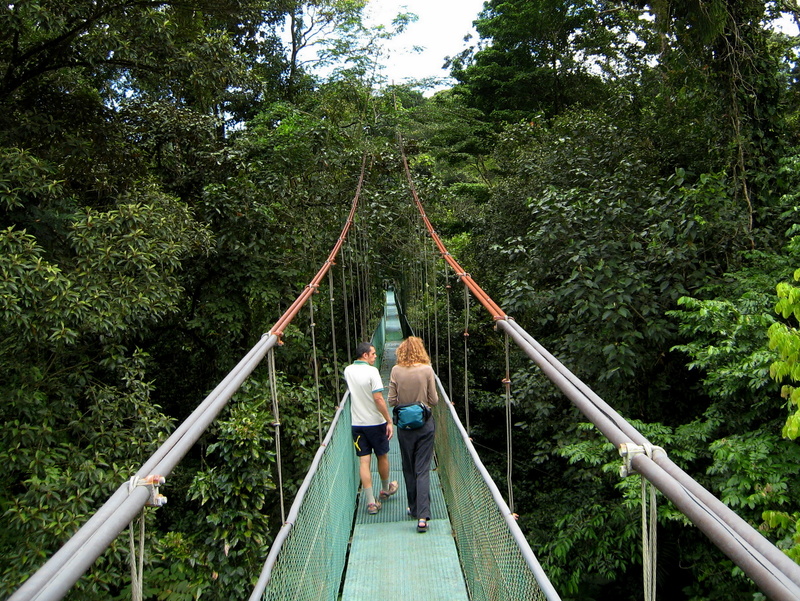 Many early canopy tourers were graduate students. They were lithe, strong, youthful and perhaps most importantly driven by the dictum that they must make a completely novel and unique contribution to science in order to earn their degrees. I’ve known graduate students who would have climbed burning trees in the middle of a lightning storm if they believed there was a novel contribution at the top (I may have been one…). Sliding along cables through the treetops gives a unique perspective on the rainforest, but zip-lines like this one have become more of a thrill ride, while suspension bridges and platforms allow naturalists more time for exploration. For the most part these tours are very safe, but you should be aware that the equipment required to put together this kind of course only costs a few hundred dollars and small ones have sprouted up everywhere. There is no licensing or safety inspection required, but you can be certain the course you’ve chosen is safe by looking for design standards by the American Challenge Course Technologies (ACCT), and/or or voluntary certification by the ICT. 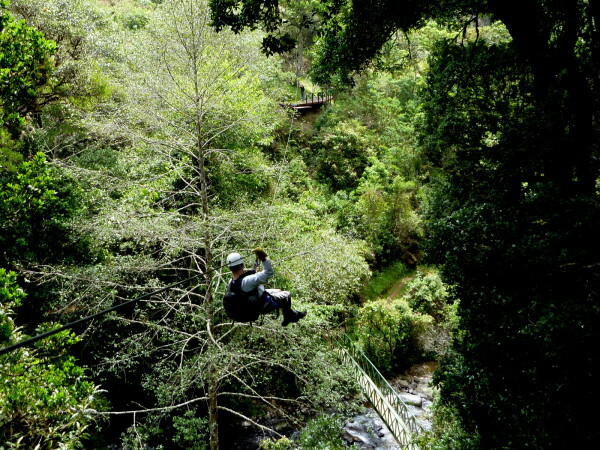 The latest innovation to hit the canopy zip is switching out the cable for a rail so the harnessed rider can plummet down stomach churning free fall drops and sling around corners in the tree tops. 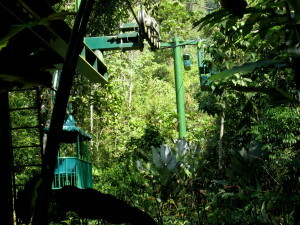 El Avatar is a new ride outside Manuel Antonio National Park. The most accessible way to explore the treetops is suitable for small children and people with limited mobility or athletic ability. The cars are more open than ski gondolas, but it’s the same basic system. You’re accompanied by a guide who uses radio communication to get updates on what interesting wildlife is hanging out near tower seven or is headed up the trail under tower eleven. Little did we know, but my brother, I and the two girls from across the street were pioneers in thrill ride engineering. 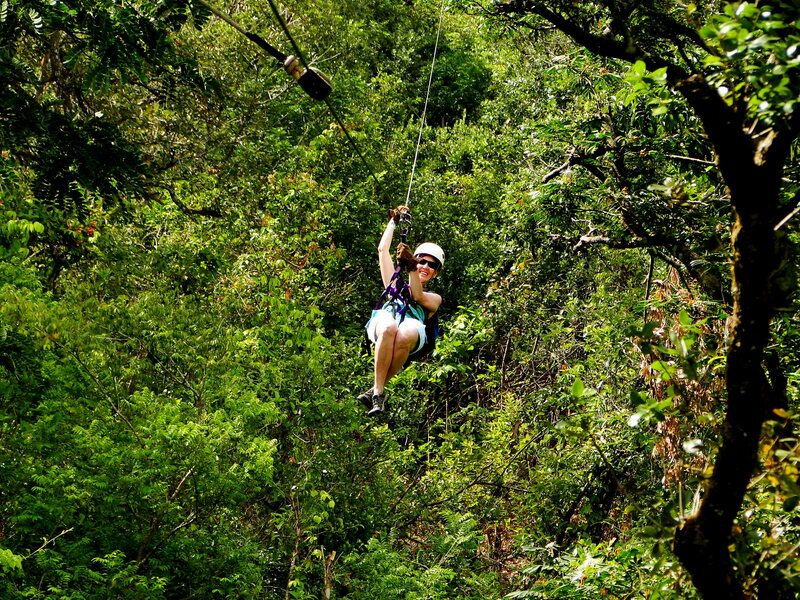 In the sixties, long before anyone in Costa Rica realized they could charge $90 a head to slide down a rope, we had a canopy zip-line in the back yard. It ran about 100 feet from the hayloft of the old barn on the alley (leftover from the days before motorcars had become popular in our Wild West town), through the canopy of a massive black walnut and anchored on the other end to the clothes-line pole. It wasn’t as big, or as fast as some of the modern rides, but it had elements of excitement thankfully absent from the commercial ventures. We found that my little sister’s new plastic beaded jump rope worked perfectly to toss over, hang from and slide down the inclined line. The little cylindrical beads rolled along like bearings and we could really fly. Unfortunately we didn’t foresee that all that rolling and rubbing would wear on the fibers. Imperial Beer in the U.S.